It's President's Day here in the States. That means that many people are off of work. Hey, at least that means clearer roads around here today. I can certainly dig that. But, as it's also a Monday, it means we need to make your gaming tables look as good as possible. 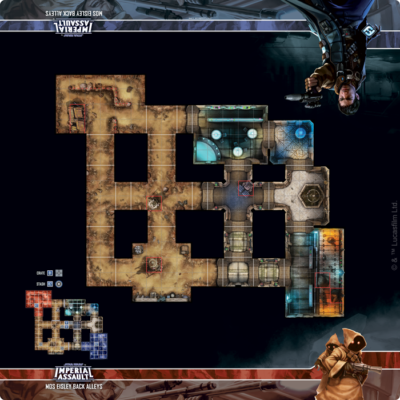 Today in the Terrain Corner we have: Mos Eisley Back Alleys Skirmish Map for Imperial Assault Now Available; Heroic Maps - Modular Kit: Desert City - Streets, Rooftops & Markets Now Available; Frontier Land Games Releases River Town Map; and Frosty Plain Gaming Mat Available From Pwork Wargame. 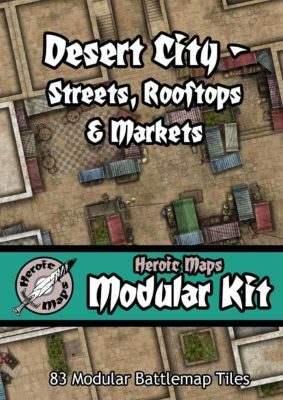 Modular Kit: Desert City - Streets, Rooftops & Markets is a printable tileset compatible with any RPG/Dungeon-Crawl game. Modular Kit: Desert City - Streets, Rooftops and Markets comprises 84 different modular tiles that can be printed multiple times and arranged in limitless combinations. Depicting a desert city, the set is ideal for building towns and cities for RPG settings that include desert, Arabian, Persian, Moorish or other cultures that have similar architecture. The set contains 18 rooftop tiles (various sizes from 4x4 to 10x12), and 66 street tiles (long streets, market stalls, fountains, stairs, corners etc), and also includes a huge 16x14 open air market and a 16x14 plaza. A set of 300dpi full size jpg files, for poster printing or VTT. This high quality map of a small Town located by a river on a series of small hillocks is now available for purchase . The map has forty six (46) buildings of various size and shape. 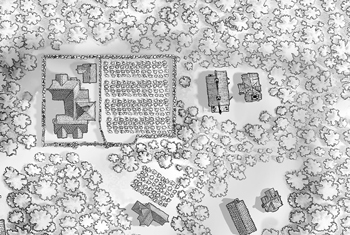 This is a single map and is an overview of the Town. The map is available in jpeg, pdf, and tiff files. 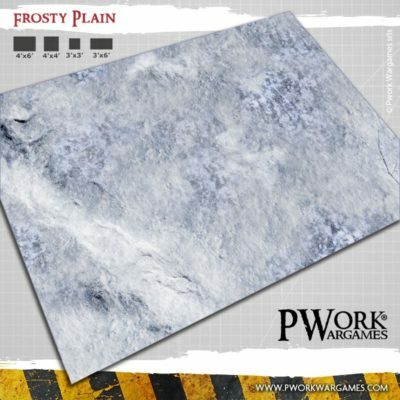 Frosty Plain: Fantasy Gaming Mat from Pwork Wargames!